You've found Divine, the approved fanlisting for the goddess Diana. 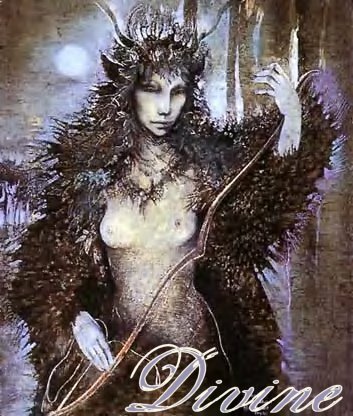 Diana is the goddess of fertility and wild nature. The Romans saw her as the goddess of the moon, forests, hunting, and childbirth. She is worshipped to this day by members of the pagan community, notably including Dianic Witches. She is often identified with the Greek goddess Artemis. For more information about Diana, go here. If you have any questions, feel free to drop me a line. Use the menu to your right to navigate the site. I hope you enjoy your visit!